Work for SAS/ACCESS® 9.4 Interface to PC Files? Learning about SAS/ACCESS® 9.4 Interface to PC Files? Licenses are expensive. SAS is not the most I intuitive. The security features, which seems more than adequate, are sometimes harder to use. It is not easy to see what amount of storage you are currently using with all the stacked data. "SAS is essential for efficient data management and analyses"
SAS has the capability to handle the large student record databases we use on a daily basis. SAS allows us to create foundational programming that analyzes data quickly. Once SAS programming language is learned users can create detailed programs that transform data in ways that are difficult to do manually. SAS can be overwhelming for new users. It can have a steep learning curve depending on the users knowledge of programming. We have designed data programs that quickly provide results for stakeholders versus manually analyzing the data in tools like Excel. SAS is also able to handle very large data sets quickly which allows us to quickly assess programs and provide results. Sometimes the application can stall especially when there is a lot of data to manipulate, but isn't this the case with all data analysis tools? "Excellent introduction to statistical coding"
I like that SAS is very intuitive. For a new coder like me, SAS is clear about when you are making mistakes and where the errors are. It clearly highlights keywords and procedural words so that you know you are doing things correctly. Additionally, there is a SAS page online that shows you how to do certain analyses. The step-by-step directions or videos show you how to complete each task and are very easy to follow for both novices and experts in coding. This is an amazing resource and I fully took advantage of it. The "help" function is not as useful as I would like. If I'm having trouble with my code in SAS, I am more likely to google my issue than to use the Help tab within SAS. There are occasionally glitches that prevent me from having multiple tabs up at once, or from getting an output screen. In these instances, I have to close down SAS entirely and restart. Also, error messages don't always clearly show you the issue in your code, so a lot of troubleshooting is necessary to understand where you went wrong. Depending on what statistical software you are used to, SAS may be great or it may be confusing. Many of my coworkers prefer to use R, although with the datasets were analyze, SAS has proved to be very useful. However, if you are new to coding, I would recommend SAS as a way to get started. It is a fairly intuitive introduction to statistical coding and analysis. SAS helps us organize huge population samples and run large-scale analyses on these cohorts. In research of this large scale, SAS is incredibly helpful to compartmentalize and analyze data. It allows us to make hypotheses about the health of different populations, which can in-turn help us protect the health of Americans! "SAS 9.4 with Healthcare Data"
SAS is a very easy to use software that doesn't require a substantial amount of coding experience. The macros are very useful and it is a software that is used in a number of industries that require data analytics. It doesn't freeze up like STATA. More like the number of hours it takes to run a large dataset in SAS. This is more of a problem because of our limitations in computing power. SAS 9.4 is a very helpful and appropriate software to use in the matter of administrative claims data. We use SAS for calculating HEDIS measures for millions of de-identified patients based on claims data around the United States. "Excellent software for data analysis"
I love that I can control the data and the variables by coding for everything in SAS. In other data analysis software, you can have very basic drop down menus like in Excel or SPSS. SAS is very quick and I can perform advanced data analysis coding. I don't like that SAS could can a long time to export the code or data files. Sometimes I have to let the software sit for a few hours when trying to export coding. I work for a university and we use SAS to do data analysis on large software and data files such as hundreds of thousands of data from populations or entire country populations. We use SAS every day to analyze data sets. Very user friendly, can load tutorials that operate on each page so the user is never lost in the site. GO for it, you will love the fact that you can easily add on as many users as necessary with very little training necessary. Able to enter and track budgets and invoices for projects, everyone can use this system so easily. The only thing I dislike about the SAS/Access interfaces is that they each have to be purchased separately. "Great for stats if you know how to use it"
Once you have a code for your data set its easy breezy to use. But you need to do some work on the code before using it for your data accordingly. Writing code can be little tricky sometimes. 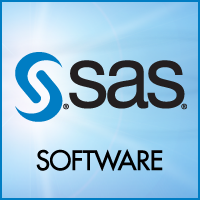 "SAS is a great software to conduct analyses. " I like that SAS displays all codes and results in the main screen. I don't like that SAS is not user-friendly at all. There is no explanation for how to run specific analyses. While conducting logistic regressions is extremely beneficial, it is also difficult to learn and takes a lot of time to understand. Good help available on SAS forum. Even other support forums are very active. I perform descriptive analysis on SAS 9.4. Processing speeds are really good, it has all the features one would need for analytics. "Old School but gets the job done"
I can use it to do calculus and run regressions. The interface is old and needs an update to look a bit more modern. I use it to run regressions for econometric projects. * We monitor all SAS/ACCESS® 9.4 Interface to PC Files reviews to prevent fraudulent reviews and keep review quality high. We do not post reviews by company employees or direct competitors. Validated reviews require the user to submit a screenshot of the product containing their user ID, in order to verify a user is an actual user of the product. Hi there! Are you looking to implement a solution like SAS/ACCESS® 9.4 Interface to PC Files?